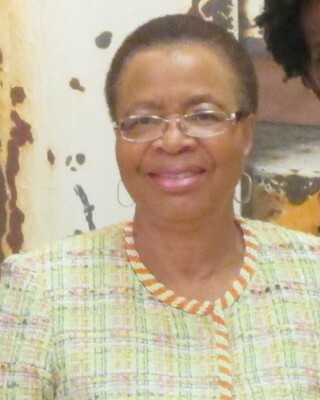 Mrs Graça Machel is the Chairperson of the ACCORD Board of Trustees. She is a renowned international advocate for women and children’s rights and has been a social and political activist over many decades. As Minister of Education and Culture in Mozambique (1975-1989) she was responsible for overseeing an increase in primary school enrolment from 40 per cent of children in 1975 to over 90 per cent for boys and 75 per cent for girls by 1989. Mrs Machel is the President of the Foundation for Community Development (FDC), a not for profit organisation based in Maputo, Mozambique, which she founded in 1994. FDC makes grants to civil society organisations to strengthen communities, facilitate social and economic justice and to assist in the reconstruction and development of Mozambique. In 1994, the Secretary General of the United Nations appointed Mrs Machel as an independent expert to carry out an assessment of the impact of armed conflict on children. Her groundbreaking report was presented in 1996 and established a new and innovative agenda for the comprehensive protection of children caught up in war, changing the policy and practice of governments, UN agencies, and international and national civil society. Over the years, Mrs Machel has gained international recognition for her achievements. Her many awards include the Laureate of Africa Prize for Leadership for the Sustainable End of Hunger from the Hunger Project in 1992 and in 1995 the Nansen Medal in recognition of her contribution to the welfare of refugee children. She has received the Inter Press Service’s (IPS) International Achievement Award for her work on behalf of children internationally, the Africare Distinguished Humanitarian Service Award and the North-South Prize of the Council of Europe, among others. In 2008 Mrs Machel was awarded a Doctor Honoris Causa by the University of Barcelona in Spain. Mrs Machel has served on the boards of numerous international organisations, including the UN Foundation, the Forum of African Women Educationalists, the African Leadership Forum and the International Crisis Group. Among her many current commitments, she is Chair of the Global Alliance for Vaccines and Immunization Fund, Chancellor of the University of Cape Town, South Africa and a Panel Member of the African Peer Review Mechanism.